Benedict Institute was founded by the American Baptist Home Mission Society in 1870 for the training of black Baptist ministers and teachers. 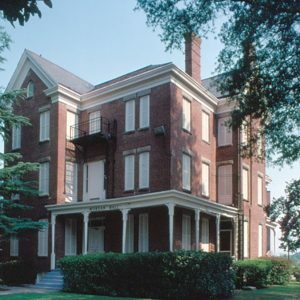 Benedict was named for Rhode Island abolitionist Stephen Benedict and renamed Benedict College in 1894. Dr. J. J. Starks became the first black president in 1929. In 1937, a branch of the NAACP was started on the campus. The campus has several historic buildings including: Morgan Hall (1885), Pratt Hall (1902), Duckett Hall (1925), Antisdel Chapel (1932) and Starks Center (1937).